The Company — Sulfur Recovery Engineering Inc.
Don’t let the name fool you – Sulfur Recovery Engineering has the capability to collect samples from almost any process gas stream in any unit at a gas plant or refinery, and perform an immediate onsite analysis. SRE has also performed onsite testing for fertilizer plants, CO2 plants, pulp mills, and has even performed building air quality assessments. SRE’s services provide our customers with invaluable information regarding the materials and reactions taking place within their processes, and how this impacts equipment, operations, and their bottom line. SRE provides solutions to operating problems, and helps clients to optimize sulfur recovery, limit emissions, prevent unscheduled emergency plant shutdowns, and control costs. Founded in 1998 by John O’Connell, an authority in SRU environmental and engineering circles with a proven track record in Sulfur Recovery in Gas Plants and Refineries Worldwide, SRE has successfully completed hundreds of projects, and is an industry leader in the development and on-site use of state-of-the-art equipment’s and processes. SRE is committed to Research and Development in Sulfur and related technologies, and is a member company in Alberta Sulphur Research Limited (ASRL). ASRL conducts research in the field of chemistry and it concerns the science and technology of sulfur and its compounds with particular emphasis on the production, processing and utilization of sour gas, sour crude oils, oil sands, and their related products. Much of the current focus is on energy efficiency, environmentally sound recovery processes, and the handling, storage and transportation of elemental sulphur. Don is an effective problem solver who helps SRE’s clients and prospective clients to identify and clarify problems and determine appropriate solutions offered by SRE and other working partners. By clearly identifying issues, Don helps to develop and implement applicable solutions in a cost effective and timely manner. Inshan has several years of experience in the sulphur recovery industry leading SRE’s field teams of Engineers and further assisting clients with their sulphur recovery needs. His experience also includes front end design and detailed engineering. Mr. Mohammed’s spoken and written languages include English and French, and he is an instructor for SRE’s operator and engineer training seminars. Dharmesh has more than 10 years of process simulation and process engineering experience including commissioning, shutdowns, startups and operations support services. Dharmesh has completed many SRU Steady State and Dynamic simulation projects for SRE clients. He is also an instructor for SRE’s operator and engineer training seminars. Ahmad is a recent chemical engineering graduate and registered as E.I.T with APEGA. He joined SRE in September 2017 and has done internship in Project Services environment, where he got first hand experience in cost control and cost estimation portion of projects. In addition, during his second internship he obtained experience in drilling, completions and surveillance of wells (lateral wells). Graduated in 2018 with 2 years of chemical engineering experience. He joined SRE in July 2018, bringing his experience of process safety, production and field engineering. Having worked in process facilities in both the agriculture and oil and gas industries, he brings with him a broad view of chemical engineering applications. 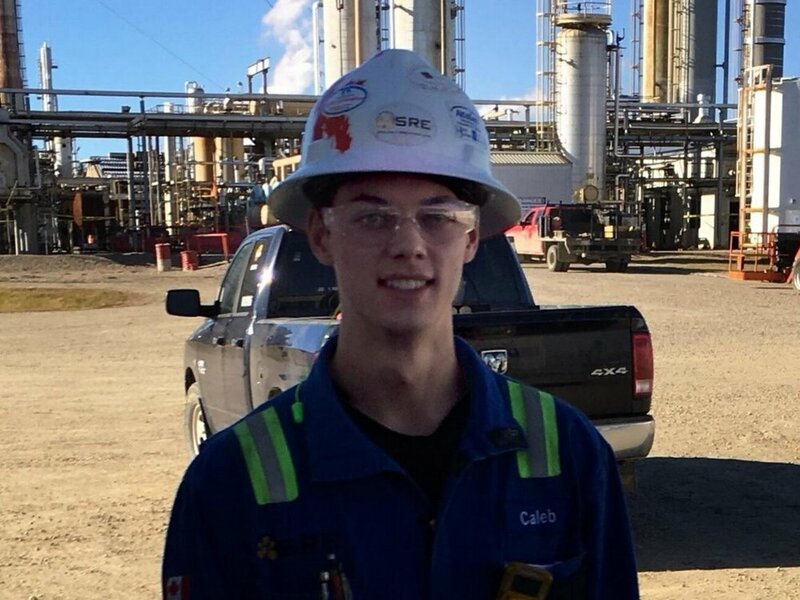 Dustin is a Chemical Engineering graduate from the University of Alberta. He has 8 months of material testing experience under CTA Engineering. He has also worked 1.5 years as an Information Technologist. He is versatile, tech savvy, and a problem solver who brings a fresh outlook and a positive attitude. Egbert has a reputation as a problem solver for amine plants and it is this skill that he applies in his position as senior consultant to SRE. Troubleshooting, testing and start-ups of hydrotreating, Merox, hydrocracking, sour water stripper and amine units are all strengths of his. Egbert is well known as a troubleshooter and a trainer and is fluent in English, Dutch, German and French.